Laminate flooring needs to be cleaned regularly to help prevent from scratches and warping. Keeping your floors in a healthy state will prolongue its life for years. Sweep the wood laminate floor to remove any dust and debris before you start to clean it. 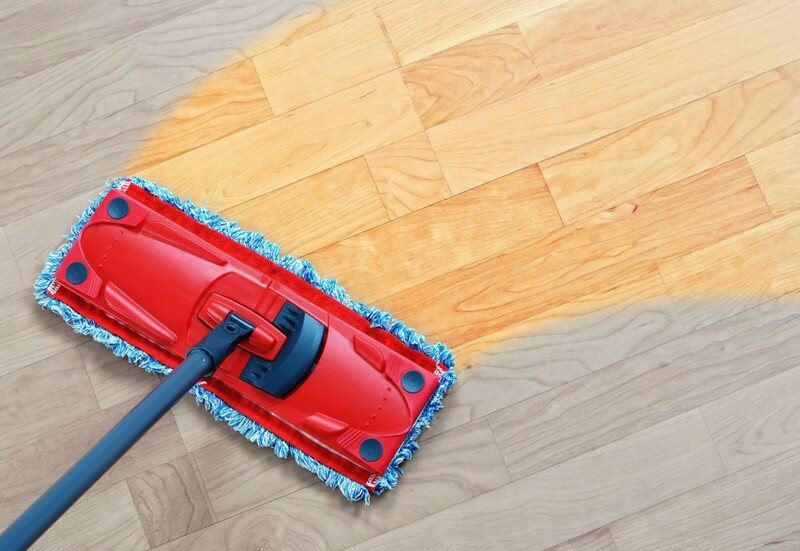 Dust the wood laminate floor with a swiffer sweeper dry cloth. This will help clean up any remaining dust and debris you didn’t get with the broom. Spray it with a wood laminate floor cleaner and wipe it clean with a damp towel. You can purchase a wood laminate floor cleaner at your local home improvement store. Make sure it is marked clearly for cleaning wood laminate floors. You need to avoid using soapy cleansing agents. Armstrong makes a great wood laminate floor cleaner and is pictured at left. Use dry towels to wipe up any remaining water on the wood laminate floor. Now your floors should look brand new! Be sure to check out the Resource links below for more floor and home improvement projects. If you want to get laminate flooring for your home, start by seeing which thickness is best for you, and why laminate flooring is a great decision for your home. We are the only licensed and insured company offering $1.99/SF. See all the colors we have available!